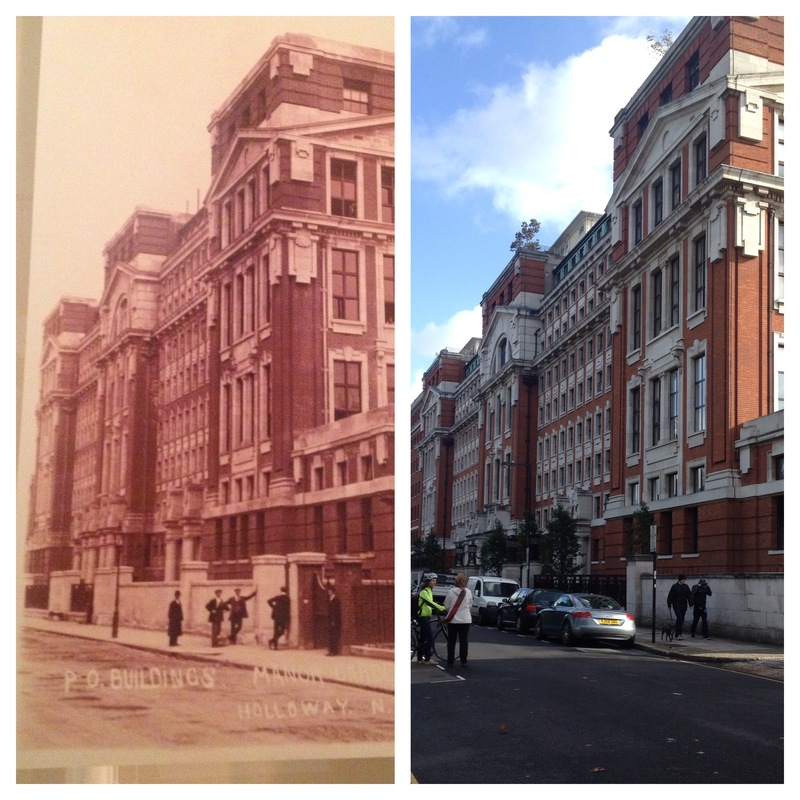 I’m always acutely aware of the history that surrounds my North London street, but never more so than a couple of weeks ago, when I walked into my lobby to find a bunch of old sepia-tone photographs of my building in the early 1900’s on display. A sucker for historical compare and contrast collages, I took a similar picture of my building today – amazing how the physical structure stays the same, but the people, fashion and modes of transportation are from two entirely different worlds. History has also been on my mind this Remembrance Sunday, having spent all week reading about commemoration events on across the country, but also about how Britain plans to mark the centenary of World War I next year. I’ve fallen silent every Nov 11th since I can remember (yes – this happens in Canada too. I’ve never encountered the ‘do Canadians all live in igloos? !’ question, but I have been met with incredulity on several occasions when explaining that yes, we have Remembrance Day too. 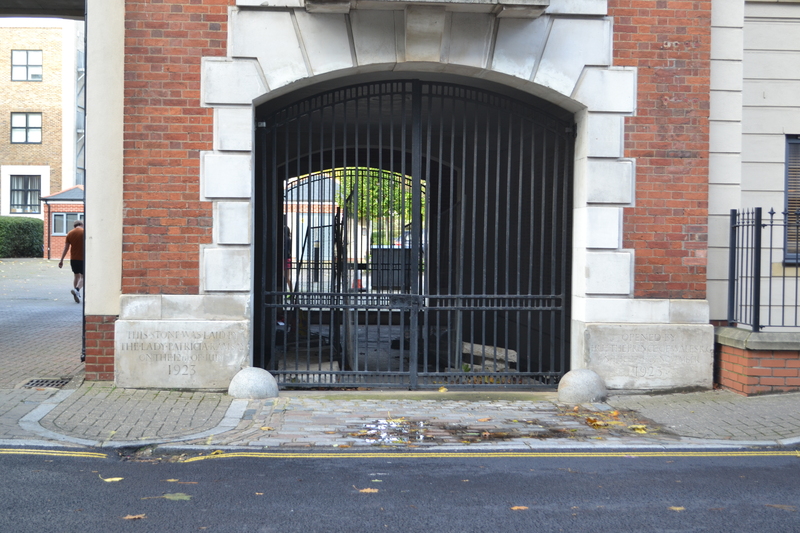 I digress…) But one thing that’s striking in London is how many physical reminders of the war remain – no town unscathed, no resident untouched. 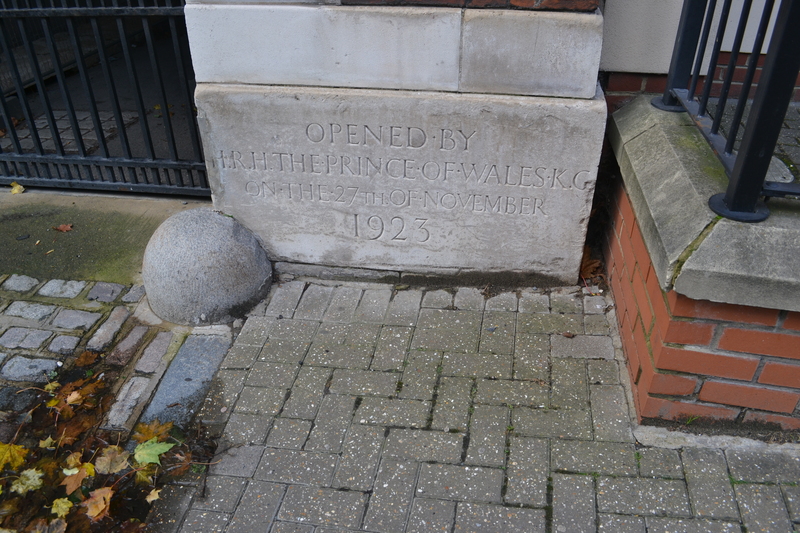 It sometimes seems you can hardly turn a corner without a bit of war history, and this is literally the case on my street. The above pictures, taken across the street from me, show how the residents of the borough of Islington chose to commemorate the fallen. 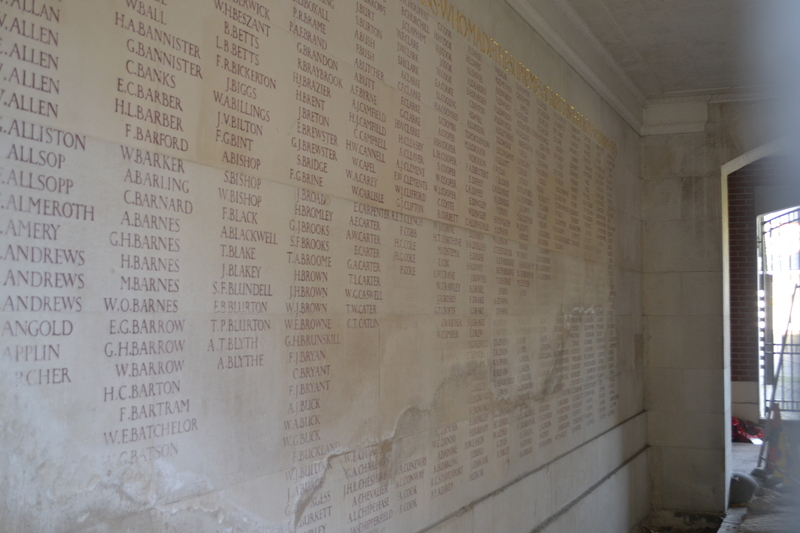 On the site of what used to be part of a hospital (and is now residential flats), they erected the Islington War Memorial, and inscribed the names of their 1,307 neighbors who made the supreme sacrifice. 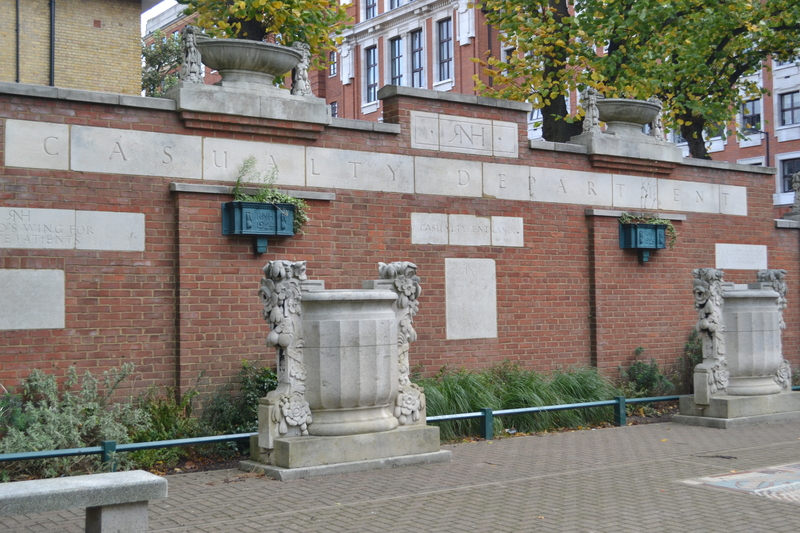 A new ward was built for the hospital, as an additional – and practical, as is the British way – tribute to the dead. And so we remember – that they fought so that we could play. This entry was posted in Uncategorized and tagged history, London, Remembrance Day, Royal Northern Gardens, Royal Northern Hospital, World War One on November 10, 2013 by CatherineTs. Weekly photo challenge: capture something eerie. 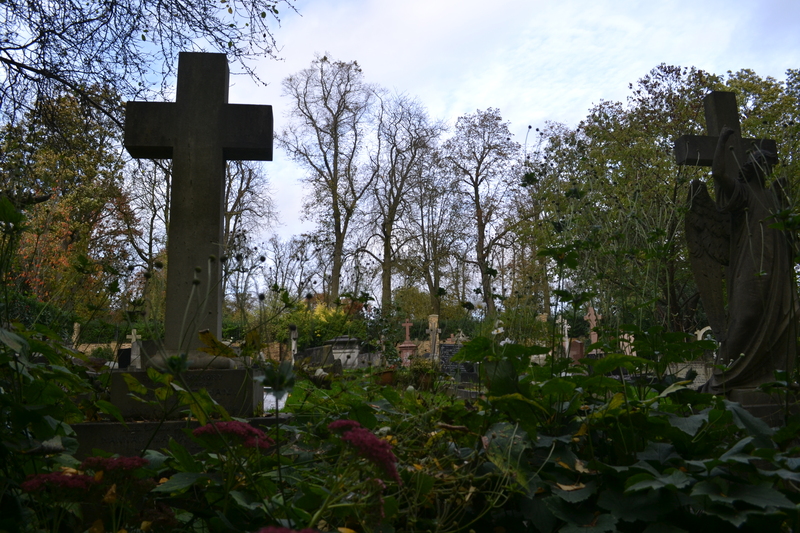 Highgate Cemetery, pictured above, is eerie only inasmuch as urban legends and horror lore tell us it should be. This cemetery in North London features in more than its share of vampire movies, but in reality, it barely sends a shiver down the spine. Rather, tranquility abounds – once you get past the fact that you’re among graves and ghosts, it makes for a beautiful setting for a stroll. It’s been on my list, so I decided to visit a couple of weekends ago, in the spirit of Halloween. It was an absolutely gorgeous day, crisp and sunny after a recent downpour, with the smell of wet leaves hanging in the air. 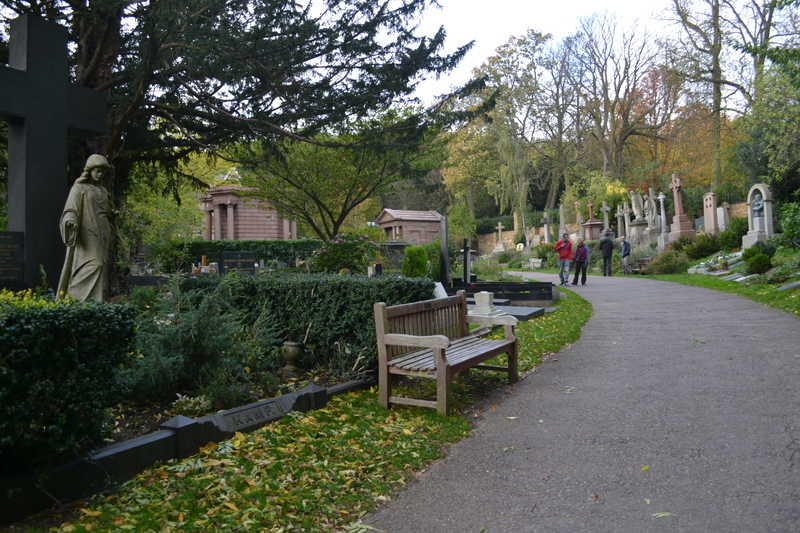 The cemetery is a quick walk downhill from Highgate Village – the perfect way to work off the effects of the lavender cake at High Tea of Highgate. You have two options, depending on how much you want to spend/learn. 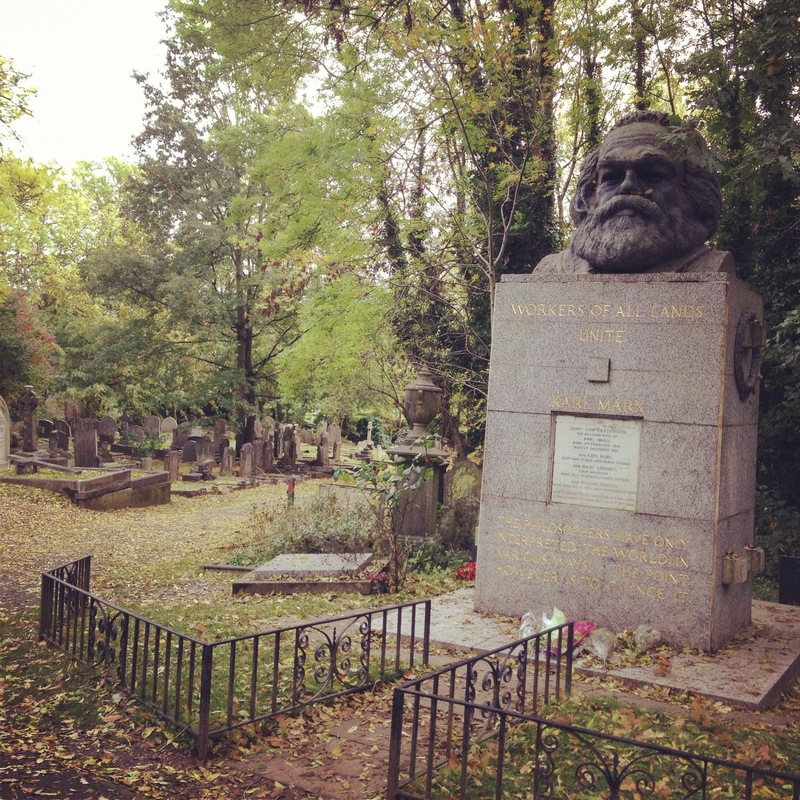 If you’re looking for a more mindless, cheaper meander on your own, go for the East Cemetery – it’s £4 for entry and a map (this is where you can find Karl Marx’s grave, a main attraction for many visitors). 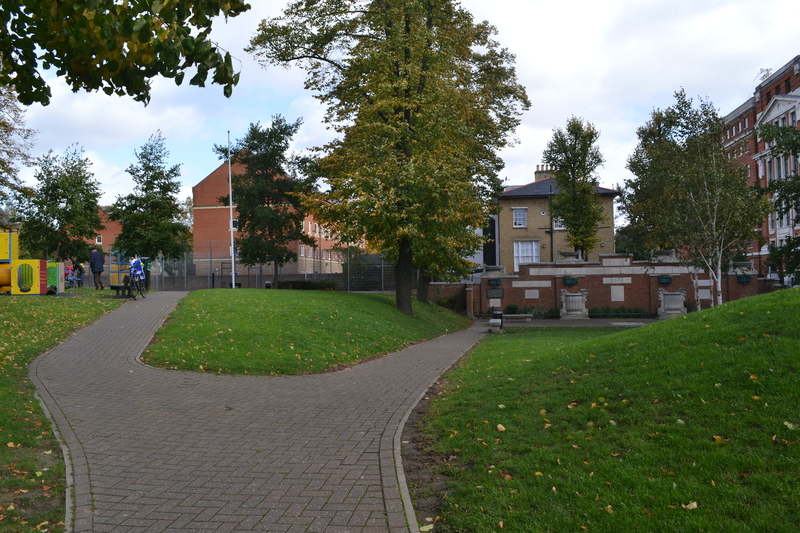 The West Cemetery is a whopping £12 but includes a one-hour guided tour, as well as free entry into the East Cemetery. (Skint) Cold War geek that I am, I opted for the East Cemetery, though I have heard the guided tour is very good. I set out on the hunt for Marx, genuinely afraid I might miss him in the sea of headstones. Turns out I had nothing to worry about – the communist section is very in-your-face! 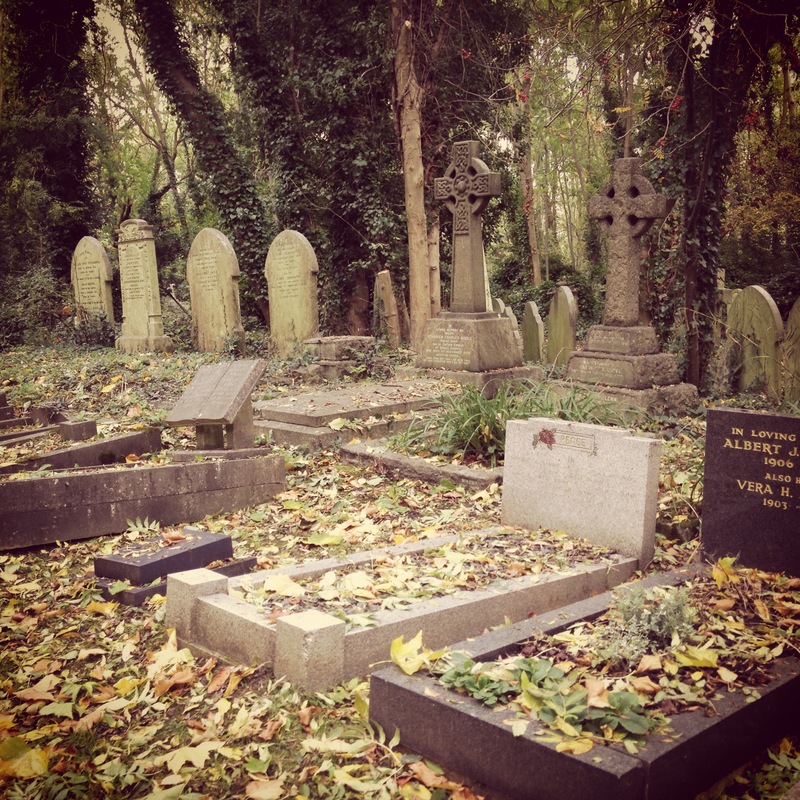 This entry was posted in Uncategorized and tagged Halloween, Highgate Cemetery, London, postaday, tourism, Weekly Photo Challenge on November 4, 2013 by CatherineTs. 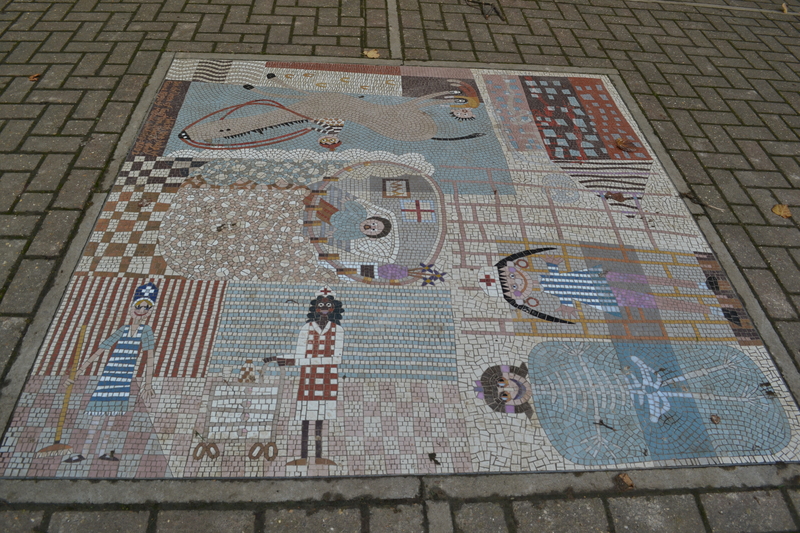 …that’s Highgate Village – definitely still a part of London, but brimming with so much small-town charm you’d be forgiven for forgetting where you are. 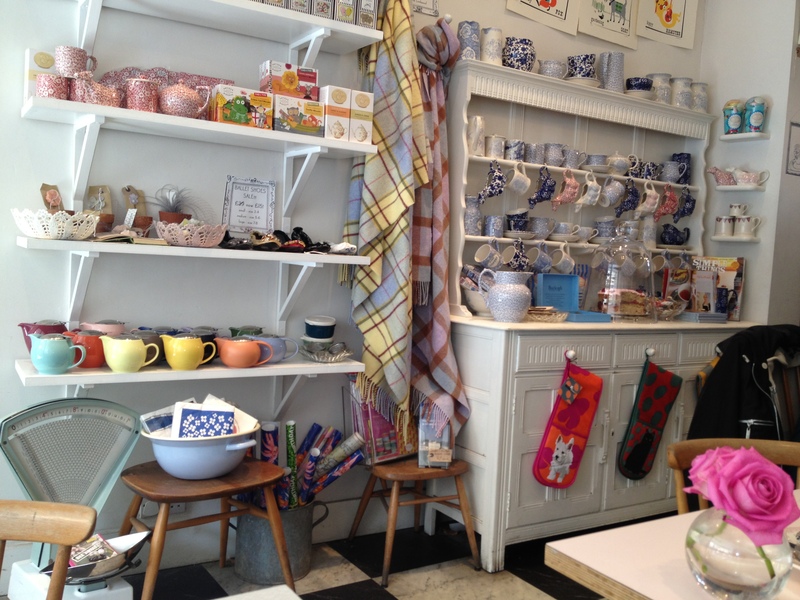 After Yumchaa, my second favorite place for tea, dessert and some quality reading material is High Tea of Highgate, a whimsical sipping nook on Highgate High Street (possibly the most redundantly-named of all high streets). 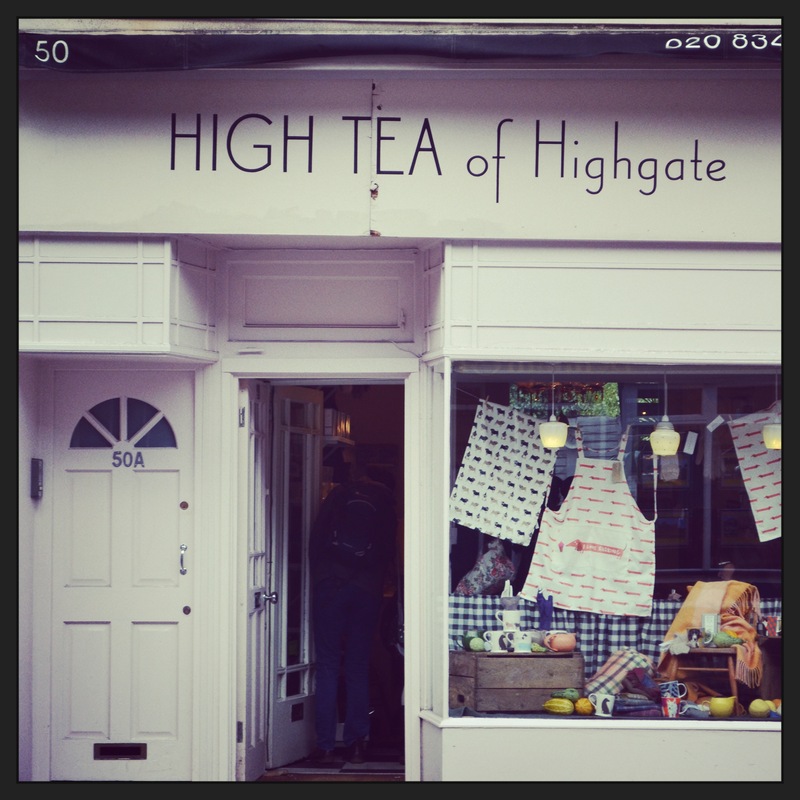 Always cozy and usually busy, High Tea of Highgate has a neighborhood, vintagey feel. The menu consists of a variety of loose leaf tea and delightful treats – my favorite combination to date is the almond tea with the lavender and rosemary cake. There’s an outdoor sitting area which is lovely for when the weather plays ball, and the ladies behind the counter are always super helpful. There are also adorable (though pricey) items for sale, like teapots, tartan blankets and ballet flats. 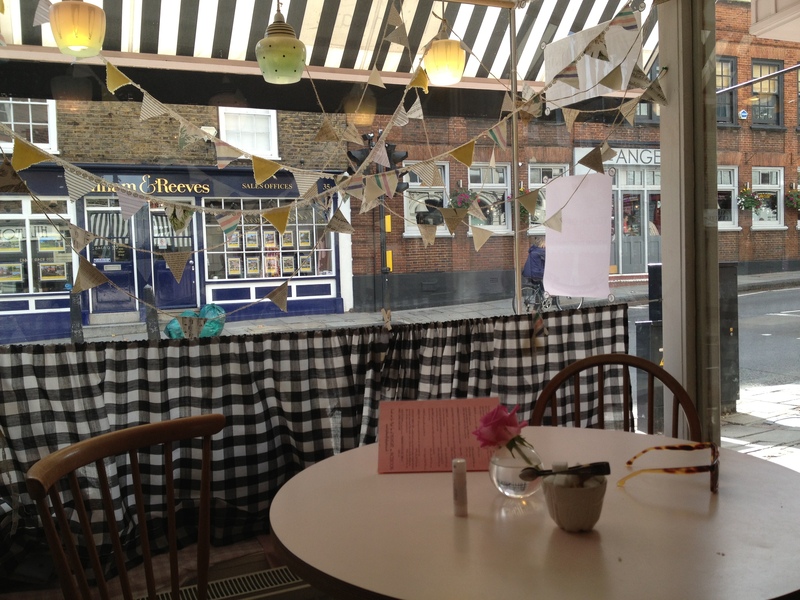 The only bittersweet aspect of High Tea of Highgate is that the current owner is having to give up the teashop in favor of motherhood, but hopefully the next owner will pour as much love into it as she has! 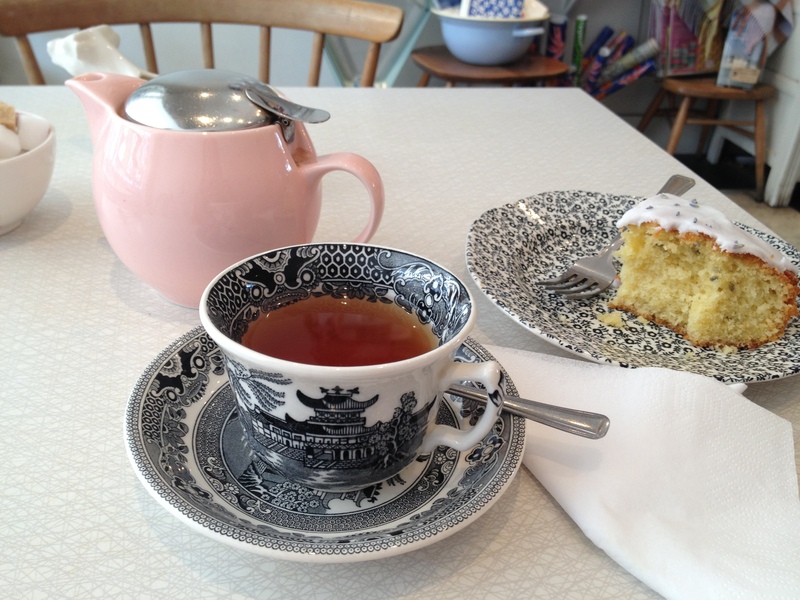 This entry was posted in Uncategorized and tagged cakes, high tea, Highgate Village, London, tourism on November 3, 2013 by CatherineTs.